In the interest of full disclosure, this recipe should really be called Salted Burnt Caramel Bourbon Banana Ice Cream, only that’s a real mouthful and Banana should come first. It’s the first flavor to hit your tongue, and, anyway, it’s the recipe’s raison d’être. You see, we’re being bullied by fruit flies over here – in a major way. You too? It starts with one innocent miniscule bug that materializes out of nowhere. Then, they multiply like aphids in a high school science experiment, and suddenly BOOM! there’s a gang of them swarming around our fruit bowl like a black cloud of doom. It’s the bananas they’re after. They wilt quickly in the August heat and, of course, our two fickle monkeys chose this week to boycott. So, there they sit on the counter, two bunches of mushy mottled brown and yellow fruit, practically falling out of their baggy skins to get some attention. 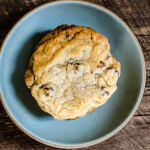 The good news is there are so many ways to use up extra bananas; Banana Cupcakes, bread, or pudding, but it’s still hot enough outside to crave chilly icebox treats and I’ve loved banana ice cream since first bite, circa 1985. I’ve also been attached, lately, to the salted caramel variety. I’m not talking vanilla ice cream with a gooey caramel swirl. I mean golden frozen custard, a combination of white cream, egg yolks, and deep amber caramelized sugar that toes the line between burnt and buttery. The marriage of the two is bliss. The first taste is pure banana. It moves quickly to salt and burnt caramel as the smooth cream slips toward the back of your tongue, and eases into a creamy, buttery finish. It’s rich but addictive with all those flavor transitions. I ate it right out of the swirling ice cream machine, at the kitchen counter, and this time there was no swarming mass to stop me. 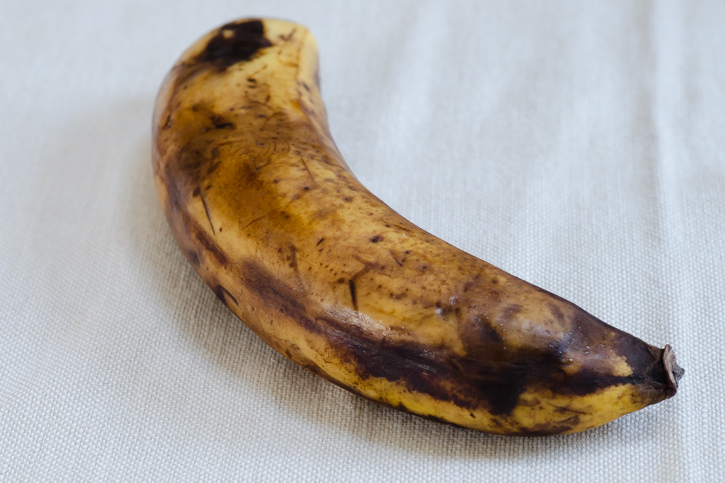 This ice cream is a little salty, a little bitter and chock full of sweet, ripe banana flavor. 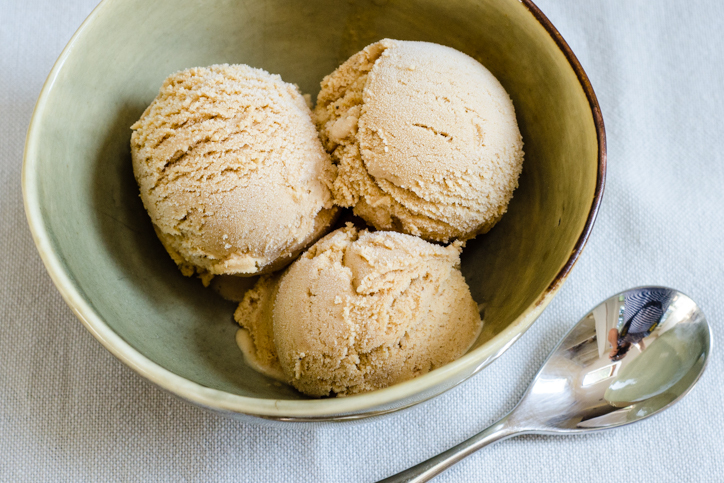 For best results, refrigerate the ice cream base for 12 hours or overnight before churning it in your ice cream maker. 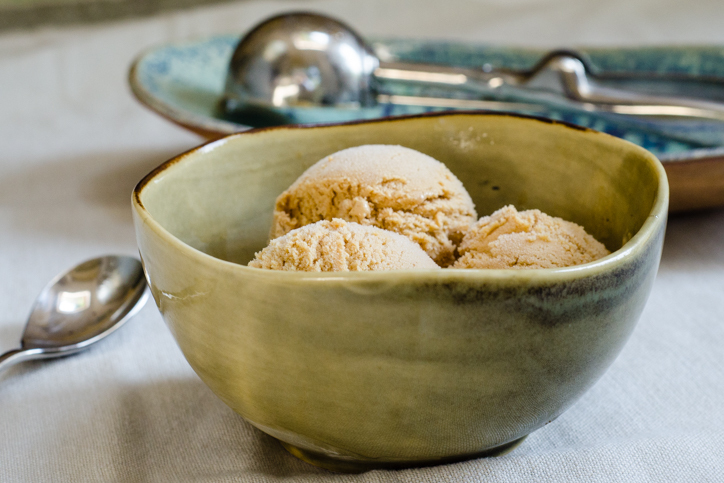 It yields a smoother and more flavorful ice cream. Making the caramel can be a little tricky. Be sure to use a 4 to 5-quart high-sided pan to prevent spill-over when you add the cream. Watch the sugar closely as it dissolves. Once it begins dissolving you'll need to swirl the pan constantly (don't use a spoon) to redistribute the undissolved sugar and the browned melted sugar so it doesn't turn black. Add the cream immediately and quickly (off the stove), stirring until smooth. The ice cream will last in the freezer for up to a month. The recipe yields 1.5 quarts. 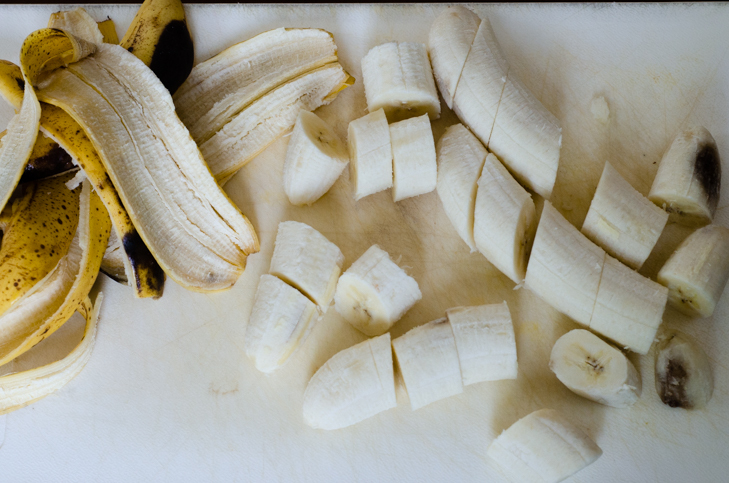 In a blender or food processor, blend the bananas until smooth. Add the egg yolk, corn syrup, and salt and blend until combined, about 10 seconds on high speed. 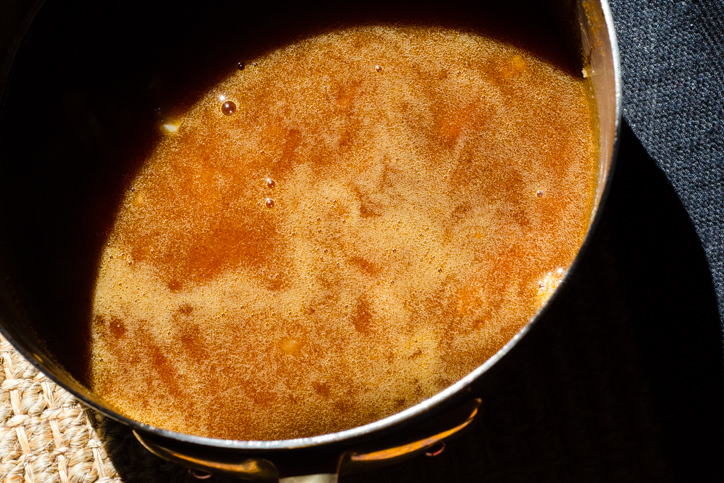 Pour the sugar into a 5-quart high-sided saucepan over medium-low heat and melt, swirling the pan occasionally (but not stirring with a utensil) to redistribute the unmelted sugar and keep the caramel from turning too dark in any one spot. This should take about five minutes. Remove from the heat and immediately add the half-and-half. The mixture will sputter and spit and bubble up high in the pan (which is why you need such a big pan). Stir with a wooden spoon until the mixture becomes smooth again. 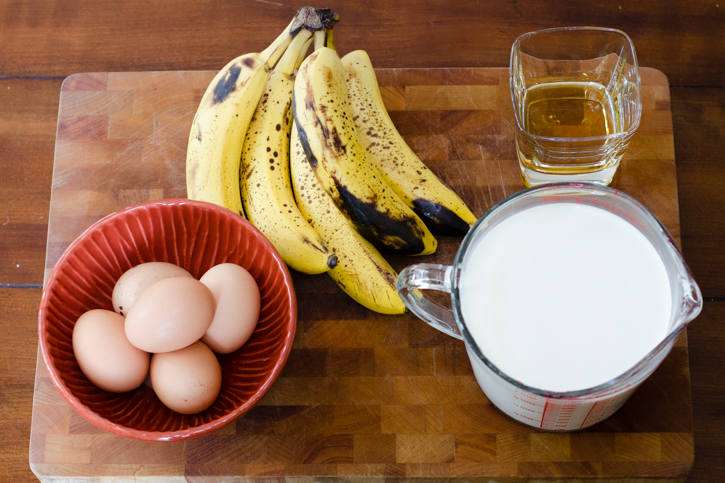 Slowly pour about a cup of the hot cream mixture into the banana-egg yolk mixture and stir with the spoon. Pour the banana-yolk mixture slowly back into the pot with the hot cream. This is called tempering the yolks, or bringing them up to a higher temperature before introducing a hot liquid that would otherwise scramble them. Bring the pan back up to medium-low heat and, stirring slowly but constantly (making sure to drag the spoon or spatula back and forth over the bottom of the pan), heat until the mixture thickens enough to coat the back of a spoon, about five more minutes. If you want to get technical, and you have a candy thermometer, this happens at 180 degrees. Whatever you do, don’t let the mixture come to a boil or the eggs will scramble. Remove from the heat and strain into a refrigerator safe container. Stir in the vanilla extract and Bourbon. 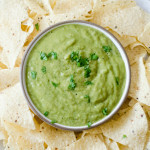 Let cool to room temperature (about two hours) and refrigerate overnight. 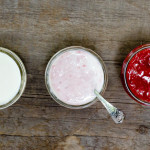 The next day, freeze in an ice cream maker according to the manufacturer’s instructions and serve, or store in the freezer for up to a few weeks in an airtight, freezer-safe container. It’s much easier to separate whites from yolks when the eggs are still cold. This looks amazing! Do you have a suggested substitute for the bourbon, if I’m in a pinch? You can just skip it and it’ll still be yummy. Or, you could use a not-so-smoky Scotch.